IE Digital designed a unique new visual identity and an educational website for charity Countryside Classroom. It's the largest partnership of its kind in the UK – led by charity Farming and Countryside Education (FACE) – with an ambition to help schools incorporate food, farming and the natural environment into their teaching. The new website brings together the combined experience of around 30 partners, to share a range of inspiring information in a single, easy-to-use resource for schools. Visit the Countryside Classroom website. 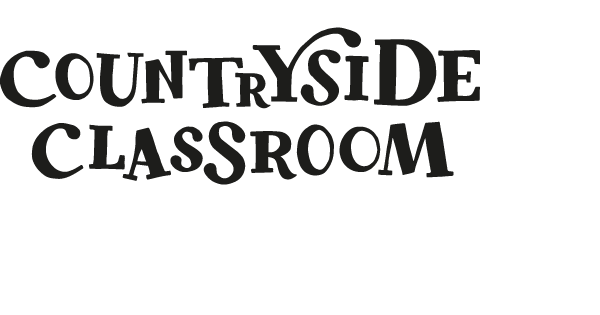 The Countryside Classroom concept was in its infancy, and needed to be brought to life through a new brand and website. The site would be home to a wide range of fully searchable, high-quality educational resources for teachers and pupils to discover. FACE wanted to ensure that children’s learning experiences weren’t limited to the classroom, so the ability to connect teachers with local services, networks and venues that offer practical outdoor activities was critical. There’s an excellent, searchable database of farms, green spaces and other places to visit, which you can filter by age, theme and curriculum subject... Countryside Classroom is superbly presented and highly informative. IE Digital developed an improved information architecture and mapped out the user journeys, wireframes and storyboards to ensure a seamless user experience, future-proofed and fully responsive to support any device, big or small. We used rapid prototyping to put something into the client’s hands at an early stage, allowing us to carry out robust user experience testing and ensure we were heading in the right direction. The search and filtering functionality was central to the site, so we developed a new way to display filters on the smallest screen sizes, by keeping both the menu and filters in a bar at the top. IE Brand's design team created a beautiful new visual identity to engage children of all ages and their teachers. The design is based on beautiful collages of potato prints, natural mixed media elements and photography. Our digital designers created a complete set of storyboards and visual assets, including images that would scale up to provide a slick, beautiful experience, even on super-sized 4k screens. Web User magazine called the site "superbly presented and highly informative", and it picked up two Silver W3 Awards for its outstanding User Experience and as an outstanding Education website. Click to explore the Countryside Classroom website for yourself.